Owing to our years of industry experiences, we are committed towards providing our clients with the best class True Lathe Chucks. Our entity is amongst the reputed names in the market for providing huge series of True Chucks. Experts utilize only the optimum quality material, obtained from genuine sellers of the industry. Apart from this professionals make these products under the supervision of experts as per industry norms and quality guidelines. With our years of experience & in depth knowledge in this field, we are engaged in offering a quality-assured array of Power True Chuck. Backed by huge industry experience and market understanding, we are involved in offering a wide array of True Chuck to our valued patrons. We are offering high-end quality of True Chucks to our clients. True Chucks, procured from the trusted manufacturers and vendors who manufacture these Chucks using high end technology and premium quality element. Our products are tested at well equipped testing unit to ensure their high quality and conformity with international quality standards. We are engaged in manufacturing and supplying a wide range of True Chucks. Made using advance technologies, these True Chucks are attached with wear and tear resistant Spares to offer high functionality. Designed under the guidance of expert engineers, these True Chucks are sturdy in construction and are very easy to operate. 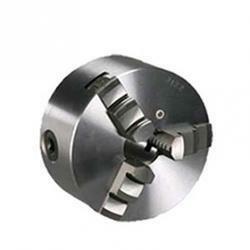 Keeping track with the wide demands of market, we are engaged in manufacturing and supplying Self Centering True Chuck . 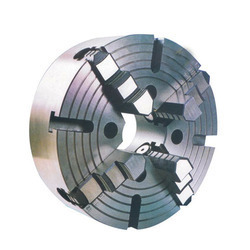 Two jaw chucks are used to hold parts such as round parts with 2 opposed bosses on them, or other such problem parts , which cannot be held in regular 3 jaw or 4 jaw chucks . PFC Punch Former is attached with 3 jaws which can hold workpieces quickly & conveniently. It can also adjust centre of 3 Jaws. It is suitable to be producted in batch It's attachment can damp workpiece with bigger diameter.